Yesterday saw the SD Eibar midfielder take part in his first training session with the Biscay outfit. 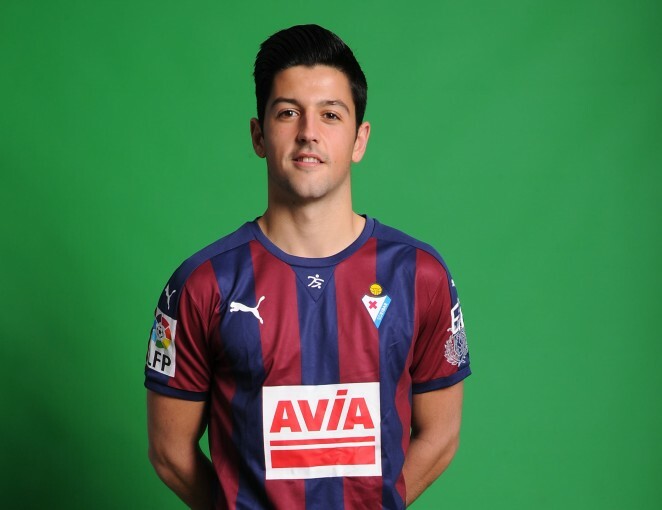 SD Eibar's Iñigo Barranetxea, who last season turned out for CD Vitoria, has joined up with Second Division B side Sestao River on a season-long loan deal. Barrenetxea (Bilbao, 1994) yesterday trained alongside his new teammates for the first time. The Bilbao-born midfielder made his first-team debut last term, featuring in two La Liga fixtures (against Rayo Vallecano and Getafe CF) and making a further three appearances in the Copa del Rey (both legs of the tie against SD Ponferradina and the round-of-16 second-leg clash against UD Las Palmas).